Day one also included four panels: Project Reports from funded Spoke PIs, a panel on the “Gold Standards” of Machine Learning and how they differ across fields, a panel on Big Data for Midwestern Supply Chain Resilience, and a panel describing the efforts at SmartColumbus and data ecosystems for smart and healthy communities. 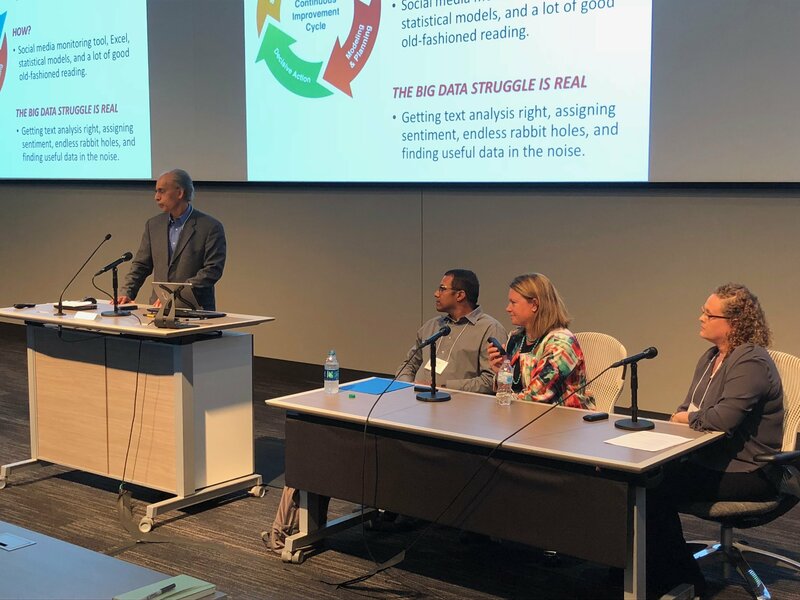 Ravi Nath (Creighton University), Vishal Singh (QuantifiedAg), Amy Kircher (University of Minnesota), and Danielle Richardson (ConAgra) speak on the Big Data for Midwestern Supply Chain Resilience panel. 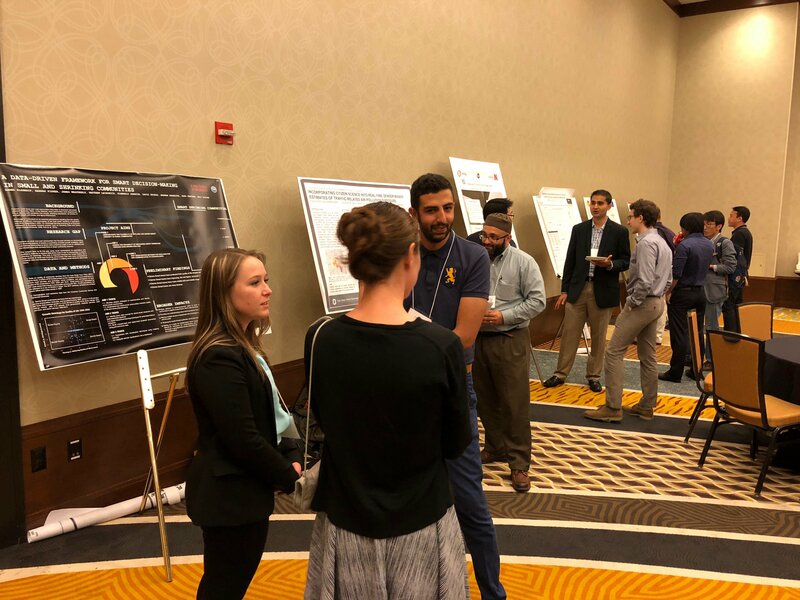 Participants in the Poster Session also had the opportunity to present lightning talks about their research to All-Hands attendees. This provided a sneak peek that sparked some great conversations between attendees and presenters at the Poster Session which closed out the first day of the meeting. Day two started off with an update on the current state of the MBDH from Melissa Cragin before the final two panels of the meeting. 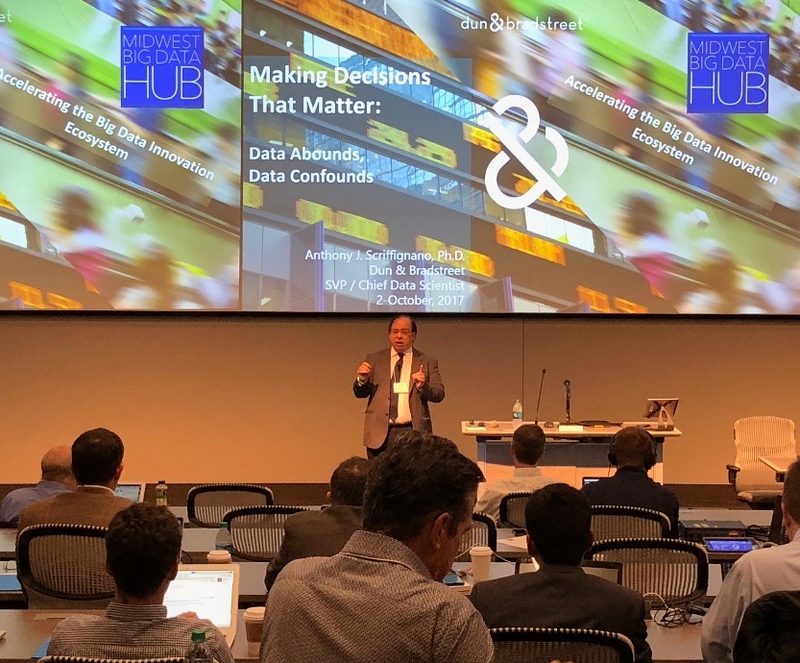 These included a Federal Agencies panel featuring employees of the National Science Foundation and the Department of Energy, as well as a panel on data-oriented educational programs in the Midwest aimed at preparing students to join the workforce. 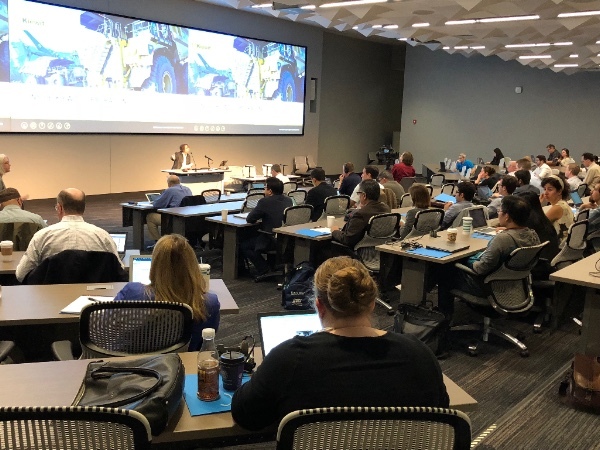 We hope everyone in attendance enjoyed the wide variety of panels and was able to make connections with other attendees. 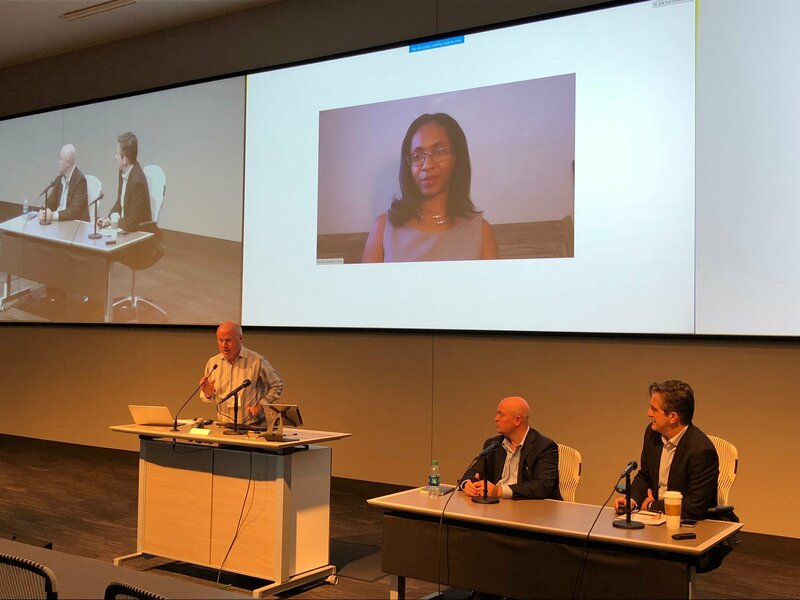 If you were unable to attend the MBDH All-Hands Meeting, videos of both days, panelist’s slides, and posters are all available.